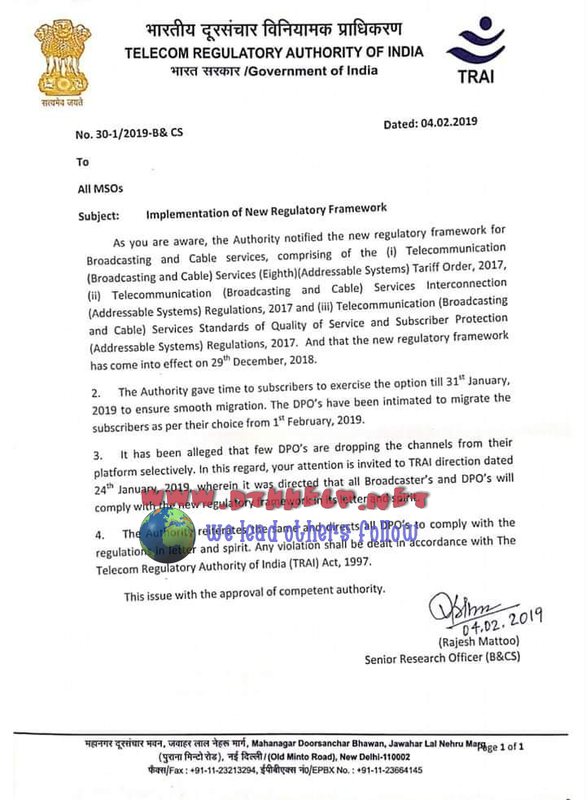 TRAI has warned DTH & MSO operators on dropping of channels selectively. The authority had given time till 1 February 2019 for smooth transition to new tariff package. But some operators started dropping channels selectively. They have also warned any violating in this regard will be dealt with TRAI act 1997.